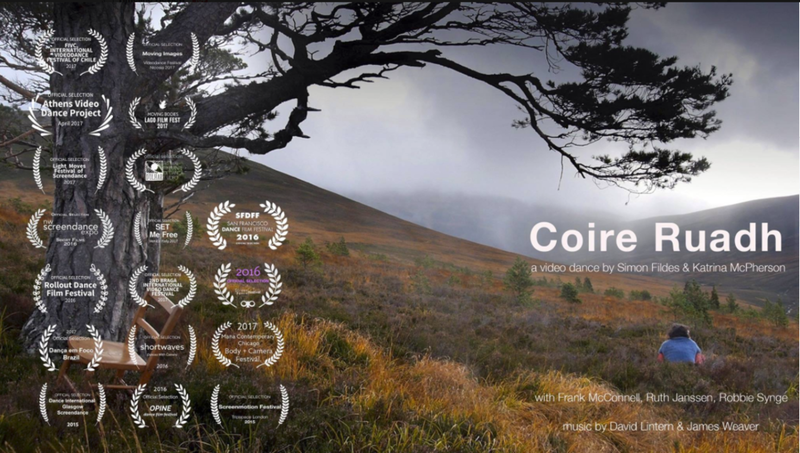 My friend Simon's film, set in Glen Feshie, is still touring dance film festivals around the world. Another friend - James - and I made the sound for it, looping live guitar and synth performances in Logic and Ableton, and then dropboxing them between Edinburgh and Hastings, before finishing using the amazing UAD plugins. It was made 'blind' - i.e we knew the rough concept but put the sound together without seeing rushes or a rough cut. We saw a few stills but otherwise, it was a blank canvas. That was about 4 years ago, and the last piece of sound/music I made. I've since sold my recording and mastering kit and while I still have some instruments, I barely pick up a guitar at the moment. I felt ambivalent (if not terrified) about stopping at the time because it was core to who I was for decades, but I'm completely at peace with it now. So much so, I might even start again one day. That ambivalence, plus the busyness and adaptation of and to new fatherhood, was probably why I didn't blog about this fully at the time. Meantime, nothing gets wasted; sound just morphed into writing and photo making. A creative habit is all about regeneration... appropriately enough given the location of this film. This multi screen installation was commissioned through the Imagining Natural Scotland project during the Year of Natural Scotland, funded by Creative Scotland and Scottish Natural Heritage. Simon Fildes and Katrina McPherson collaborated with Dr Rob McMorran of the Centre for Mountain Studies (CMS) Perth College, The University of the Highlands and Islands; examining and responding to the issues around the research into the mapping of ‘wild land’ in Scotland. This project aimed to create a work that articulated the borders, zones and differing perceptions of wild land that formed the basis of the research. We were interested in how the research matches the perceptions of place that inform a view of wildness; and how, depending on our personal experience of such landscapes, it seems that humans will mentally ‘edit out’ cultural artifacts that interfere with that perception. For this video work we went to one particular location with 3 dancers at 3 different times of year, where the mapped border between ‘wild land’ and ‘not wild land’ is easily accessible in The Cairngorms near Glen Feshie. A path to Sgorr Goaith winds up through beautiful mature Scots Pine on the Invereshie National Nature Reserve next to the Allt Ruadh and soon opens out in Coire Ruadh. We always felt from the start that the work had to stand up on its own right with little background information about the process. We want people to find their own journey in this work, asking questions and coming up with their own answers. If nothing else we realised that, like any psychological or physical transition, these borders between wild and not wild for most people are all about a feeling. The very personal response is the most important thing. The stepping over an invisible threshold where the shoulders relax and you smell the pine in the air, catch a glimpse of a red squirrel, watch wood ants wrestling on sun warmed rock, step over the raptor torn remains of a Ptarmigan, and lie down in the heather and stare at the clouds for a while thinking about nothing in particular. Designating lines on the map are the necessary part of defending that moment for all of us.